2 PARKING! Corner unit. Only 2 residences per floor. Welcome to the highly sought-after Flatiron building in Coal Harbour, a boutique luxury building offering only 52 homes. 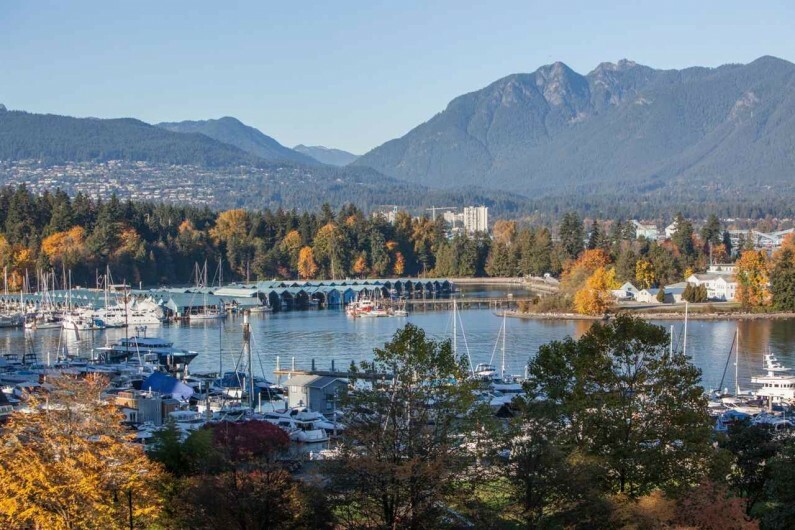 This is a unique opportunity for the most discerning buyer to find a private outlook on to unobstructed water, North Shore mountain & Stanley Park views. Rarely available, this preferred “01” layout offers 1,350 SF + balcony off the living room, 2 beds, DEN + FLEX room. Fully equipped with top end appliances, gas range, geothermal heating & cooling, recently upgraded hardwood flooring, & wall-to-wall windows, this executive home is guaranteed to impress. No shortage of storage with an in-suite flex space & an external storage locker. Steps to the best restaurants, hotels, & the Harbor Seaplane.